Pinetree Village is a family friendly low-rise, perfectly located in the established neighborhood of Kilkenny, Northeast Edmonton. Walking distance to Londonderry Mall, Edmonton Public Library, Schools and Londonderry Fitness and Leisure Centre. Call Pinetree Village your next home. Receive up to $2316 off on select suites. 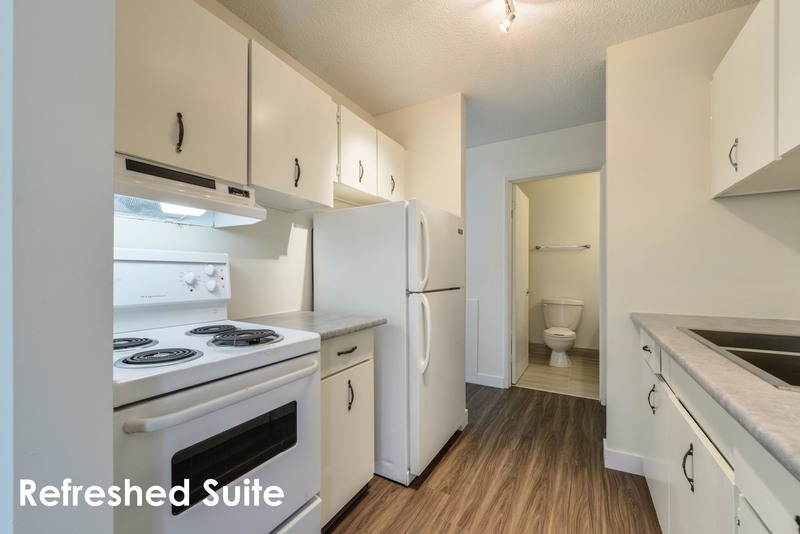 This family friendly building community provides the essentials such as a fridge, stove and a spacious in- suite storage room. Upper level suites have a spacious balcony, Ground level suites have a patio with a fenced yard. Heat, water and an energized parking stall are all included in rent. The neighborhood of Kilkenny is surrounded by great conveniences such as Londonderry Mall, Kilkenny Park, Kilkenny Community League, Edmonton Public Library and Londonderry Fitness and Leisure Centre. Schools such as Kildare Elementary School, Londonderry Junior High School and M.E. Lazerte High School. Easy access to major roads like 137th Avenue, 66th Street and Fort Road.